Selamat Hari Raya my lovely Muslim readers! When you are reading this post, I am actually enjoying my sun and beach holiday at Langkawi island. As you know the sun is so harsh recently, I have brought a lot of skincare to keep my skin in tiptop condition for Up-close selfies. 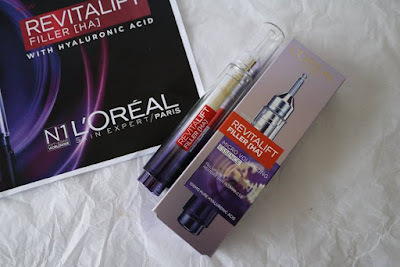 One of the products is the L’Oréal Paris Revitalift Filler [HA] Essence. With ageing skin, wrinkles aren’t the only problems you have to deal with. Loss of volume in your skin is another issue that becomes obvious. When skin loses volume, your face shape changes. A once-defined jawline becomes squarer and saggy while fuller cheekbones end up looking hollow. Looking at a photo of yourself when you were 20 and another taken recently will clearly show the difference your skin has undergone through the years. This is why you find it hard to get the right angle that “hides” these flaws from the camera! Selfies? Definitely no up-close ones that emphasise the changes your skin has undergone. Sure, a cosmetic procedure like a hyaluronic acid injection could be the solution but not everyone has the money to undergo one. Our next best solution? 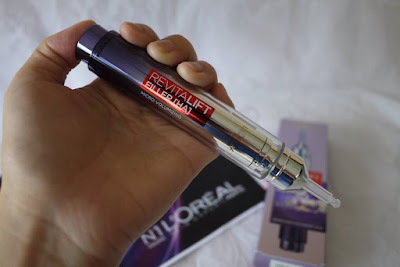 L’Oréal Paris’s breakthrough anti-ageing formula to give us great results right at home. 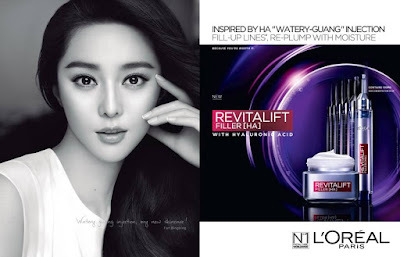 The 1st daily facial revolumiser from to plump cheeks, fill wrinkles and restore skin youthfulness – L’Oréal Paris Revitalift Filler [HA] is our home solution to plump up skin to restore its volume and ultimately, a youthful appearance. Revitalift Filler [HA] contains the highest micrometric hyaluronic acid concentration ever created for L’Oréal Paris. Hyaluronic acid is known for its properties to instantly “fill” skin with volume and hydration. Because of its small molecular size, the hyaluronic acid in Revitalift Filler [HA] easily penetrates and absorbs into skin, enabling skin to benefit from the hyaluronic acid’s full potential to plump up skin’s volume. Further enhancing its formula is Fibroyxl™, a natural extract used for its firming and anti-wrinkle properties. 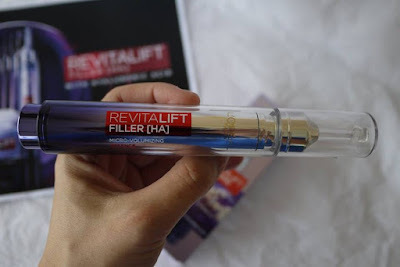 With its highest micrometric hyaluronic acid concentration ever created for L’Oréal Paris, Revitalift Filler [HA] Micro Volumizing Essence contains 10X more concentration with 100mg of micrometric [HA]. Upon application, skin feels hydrated and firmer. In four weeks, skin is plumped up while lines are reduced. Apply Revitalift Filler [HA] on cleansed and toned skin. 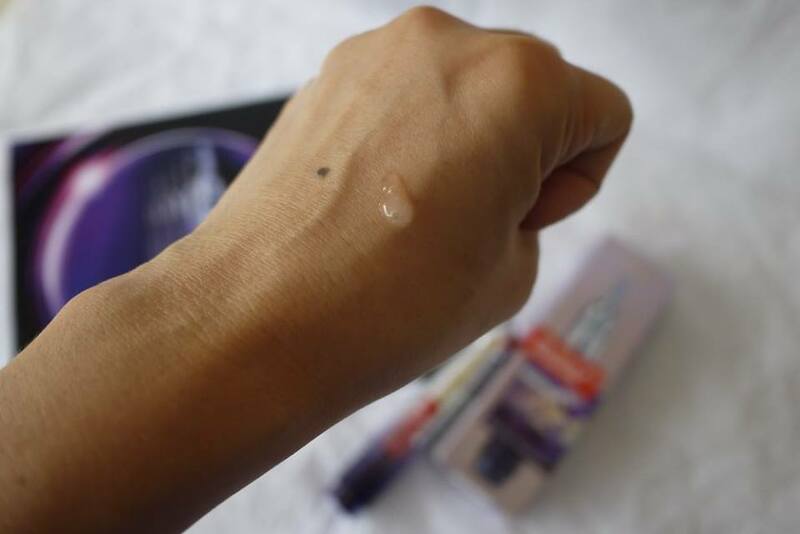 To use, uncap the serum and pump onto your finger. Apply on six points of the face: Three on your forehead, one on both cheeks and one on the chin. L’Oréal Paris’s 1st high-tech cushion formula moisturiser with a high concentration of micrometric [HA] to replump skin with volume and Fibroxyl™ to help restore firmness. Skin is hydrated up to 48 hours upon application; in 4 weeks, under eye lines and smile lines are reduced while skin is firmer. Apply Revitalift Filler [HA] Revolumizing Cushion Cream after serum both day and night. Pat in to enhance absorption. Pump back volume into skin with the 1st daily revolumiser from L’Oréal Paris to plump cheeks, fill wrinkles and help restore youthfulness. Skin looks picture perfect, at any angle, at any age. Up-close selfies? Not an issue anymore with L’Oréal Paris Revitalift Filler [HA], your daily solution for youthful-looking skin inspired by science made for beauty. I am facing ageing issues with my skin. 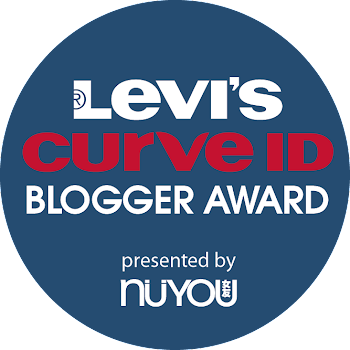 I should check this out. Thanks for recommending. i don't want to age too.. wanna stay young forever. This must be the secret! wow this is new, don't know this til read here. woah! Skin hydrated for up to 48 hrs sounds really promising! My skin's pretty dry at times, think I should give this a try! Hydration is a key to revive the dry skin! a must have for every girls' cosmetic collection.